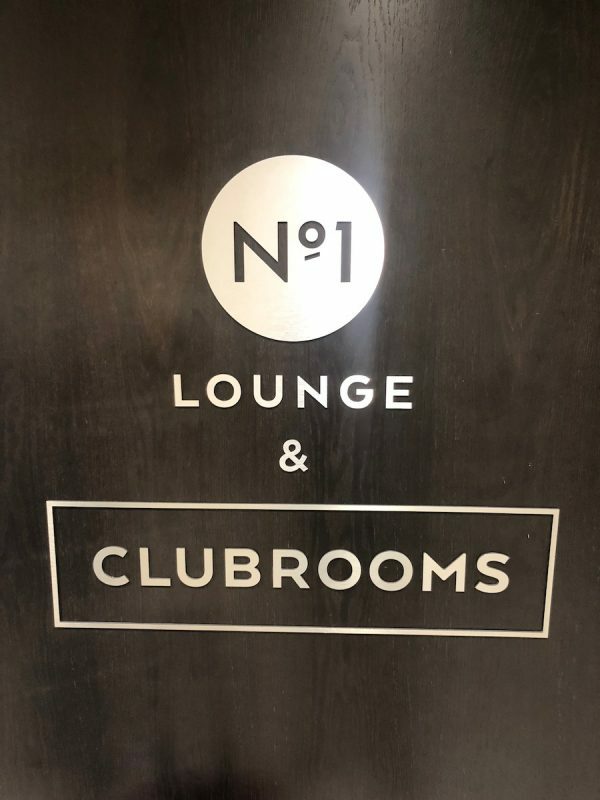 The Clubrooms are the highest tier Gatwick lounge in the No1 collection and you will find them located between Dixon’s and JD Sports on the first floor of the South terminal at Gatwick. We had booked online and paid £45 per person and with the minimum age for entry being 12 years old we also paid full price for our 12 year old Daughter. The entrance is rather grand with electric double doors and there are a series of separate rooms behind closed doors throughout the lounge. We were greeted in the entrance and were able to chose our seats. The lounge advertises runway views and whilst there are great views our table in the main area was a little obstructed. 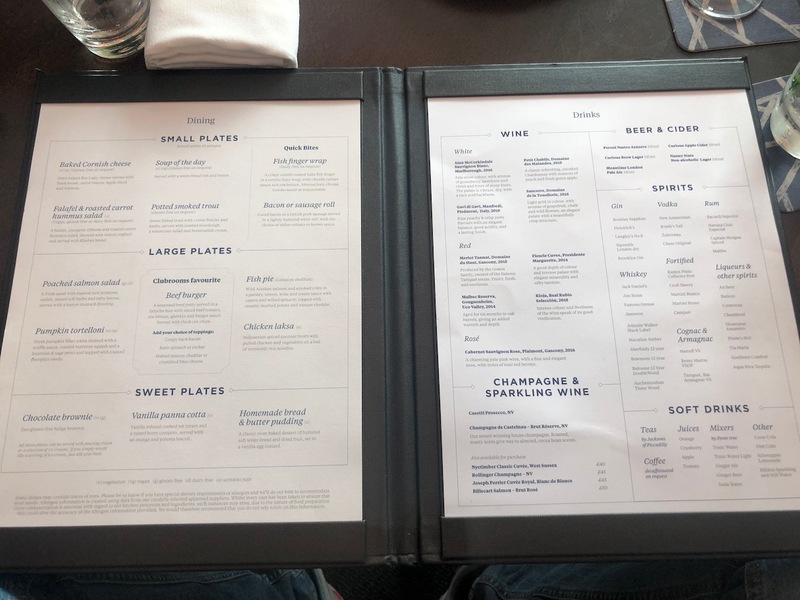 The drinks menu is very good, they offer single shots of all premium spirits, a variety of soft drinks, wines, lagers and beers and free flowing champagne. The staff provide a hosted table service and there are small stations doted throughout the lounge that allow you to help yourself to juices, fizzy drinks, short breads and brownies. The food menu was good but small, you can eat 3 courses and order as much of any of the dishes as you want. There were 6 starters, 5 main courses and 3 desserts on offer. We chose the fish wrap, baked cheese and the soup of the day to start and burgers and the fish pie for main. All of the dishes were small and we do not believe that they were homemade which means that we would rate them all as average. All of the staff were young and were mostly friendly, they were all attentive and kept our drinks topped up and some engaged in conversation. There are two toilets which are used for both male and female and whilst small they were nice and they provide a lovely scented hand wash and hand cream. The decor in the Clubrooms is plush and well designed, with comfortable and elegant chairs and sofas. The vibe is quiet and relaxed but we did not find it very work friendly as we had planned to work from our laptops and all of the tables are low. To be fair to the lounge the Clubrooms were designed for comfort rather than a place to work. If you are looking for a tranquil experience we would recommend the Clubrooms as a favourite Gatwick lounge, and if you are looking to work from a lounge or if you have a child close to the age of 12 we would recommend that you check out all of the lounge options available. Airport Lounges – Are They Worth It?